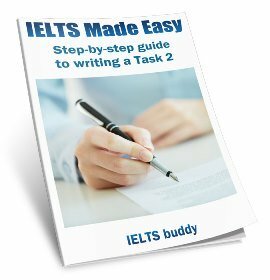 Do you have tips to get an IELTS band 8? Hi, I am taking the IELTS exam on 27th Oct and I need to get 8 in each module of the exam. I would appreciate if you can suggest some tips, so that I will be able to achieve the desired bands. Thanks for your help in this regard. 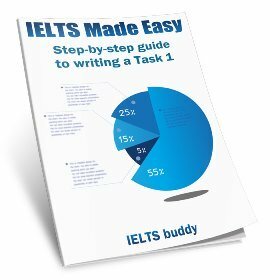 Comments for Do you have tips to get an IELTS band 8? It's difficult to give specific tips to make that 'jump' from where you are to an 8. To give you good advice in this respect I would really need to see samples of your writing and speaking and find out where you are going wrong and work on those specific skills. And to see where you are having difficulties with your listening and reading. a) Make sure you fully understand each part of the test and all the different essay types, reading question types etc you may get - you don't want any surprises! b) Practice as much as you can! This is the only way you will improve. There are plenty of IELTS websites out there including this one. c) Don't just focus on IELTS training - you want a band 8 - this virtually means you are fluent in English! Are you nearly fluent? If not, you need to immerse yourself in English as much as possible - reading complex texts, watching English TV and films, speaking with native speakers etc. Have a look through this site though - there are lots of tips for the different parts of the test. I got band 8 the first time I took the IELTS test in 2012 after less than a month preparation. My best tip is to love the language. Once you love it, you just better absorb it. Recently I created a blog at www.ieltseasy.com to share my English learning experience. 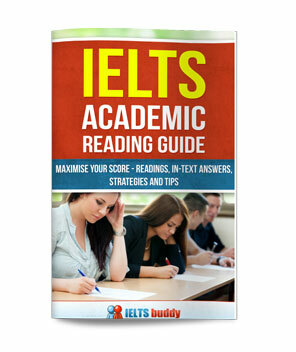 I have some articles on the blog on how to get a high band score in IELTS test. Hey, I got an ielts band 8.5 in my first attempt, believe me or not, but i did not prepare a minute for it. According to me and my exam experience, I'd say, it is all about how good you are at the language. It's not physics or math that you can 'LEARN'. 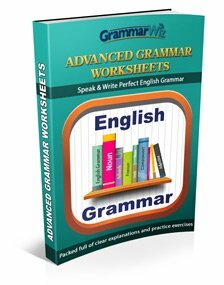 It's about how fluent and well learned you are at English. Say, a chef can never be a world class chef by just learning the recipe of the best dish in the world a day before the cooking and then expect to be the best chef, do you get my point? There's no way to learn for ietls. I would say, watch TV's, read books, converse more, brush up your vocab and most importantly, stay calm. I was very lazy, to my surprised I got band 8, especially in Writing, I got 9. I did not study much but I hired a tutor for 10 2-hour tutorial in Hong Kong. I jumped from Band 5.5 to 9 in writing. 6.5 to 8 in reading. 7 to 8.5 in speaking. 2. Listen to academic audios and music. Once you understand all Eminem says, that's when you got band 9.0. I want to get 8 bands in each module.but I cannot exceed above 6.please help me. i do not have any option except ielts.piz help me. and it's very difficult for me to give ielts again and again because they are charging $330 which I cannot afford easily.soplease help me. It is really not possible for me or anyone else to give you some quick tips to go from a 6 to an 8. You are talking about going from a "Competent user" to a "very good user" of English. That is a big jump. Learning a language takes time. Also, regarding tips, there are lots of different tips depending on each section of the test and all the different question types. They could not all be described here. You need to set yourself a course of IELTS and General English study - ideally with face-to-face lessons of course but if you can't do that through websites and online. And I would say there is no point in taking IELTS again and again in the hope you will get an 8 if you are now a band 6. I'm afraid that won't happen. You need to study and improve yourself over quite a long period of time before you are ready to take the test and think about getting and 8. Of course it is possible, but you need to give it time and study hard.